The move comes as part of a strategic restructuring of Tesla’s sales process. The nation's largest residential solar installer is shutting down operations in South Carolina, roughly eight months after entering the state's burgeoning solar market. Tesla subsidiary SolarCity launched a new residential service in the Palmetto State last October, due in part to the introduction of a new solar loan product earlier in the year. The company hoped to hire around 100 new employees and expand from Charleston to other parts of the state over time. “Certainly the growth of the market [in Charleston region] makes it attractive,” Leon Keshishian, East Coast regional vice president at SolarCity, told the Post and Courier last year. Policy changes also made South Carolina an appealing destination for solar companies. In 2014, the state legislature allowed for third-party ownership of solar installations. A year later, regulators approved a settlement agreement between utilities and solar stakeholders that allowed rooftop solar customers to receive net metering credits for the excess energy they export to the grid at the full retail rate, though 2020. 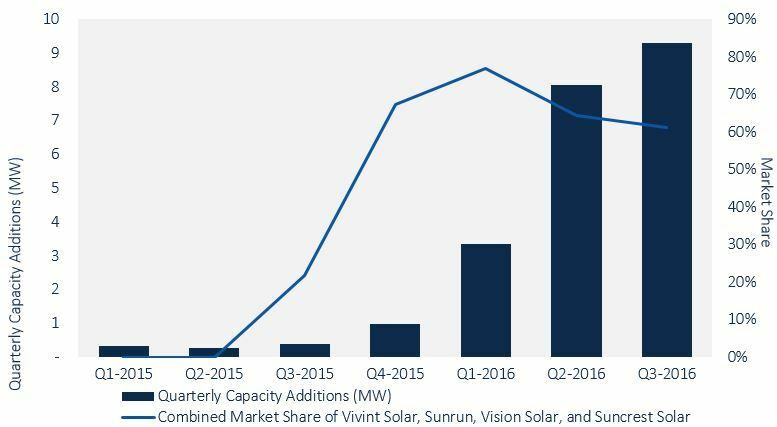 In 2016, South Carolina's residential solar market boomed -- growing from under 1 megawatt of new installation capacity in the fourth quarter of 2015 to more than 9 megawatts in the third quarter of 2016, according to GTM Research. Most of that growth came from four national installation companies: Vivint Solar, Sunrun, Vision Solar and Suncrest Solar. These companies expanded rapidly in the state to take advantage of favorable solar rebates. SolarCity arrived on the scene a little later than its competitors, possibly because the company was in the midst of being acquired by Tesla. 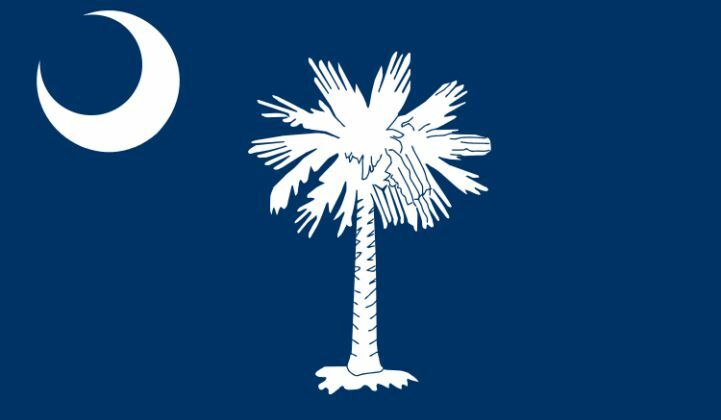 The recent decision to withdraw from South Carolina may also stem from the acquisition, which was approved last fall. According to a Tesla spokesperson, closure of SolarCity's Charleston office is a result of ending the company's door-to-door sales practice -- a strategic move announced this spring. "As a result of the elimination of our door-to-door sales channel, which we announced in April, we are closing our SolarCity office in Charleston, South Carolina," a spokesperson said in an emailed statement. "Those employees have since been reassigned or provided an opportunity to interview for other positions that will help support our expanded retail efforts and the delivery of new solar products and Powerwalls across the country." Interestingly, SolarCity launched a pilot project available exclusively in South Carolina upon entering the market last year that allowed Charleston area customers to purchase their systems online at a discount. It's unclear how this pilot informed Tesla's sales strategy in the state. Also, while South Carolina has seen rapid solar growth over the past year and a half, it's unclear how the state's rooftop market will evolve. The Solar Energy Industries Association projects that South Carolina will install 1,888 megawatts of solar across all market segments over next five years, and residential installations are expected to play a meaningful role in that. However, as solar rebates expire and utilities hit their net metering caps, national companies could pull back or even pull out of the market if the economics become less attractive. This could open up new opportunities for local solar installers, GTM Research analyst Allison Mond recently wrote. In some ways, South Carolina is representative of where the U.S. residential solar sector is headed overall, as new markets emerge and established ones see growth slow. "[If] South Carolina is any indication, there is still room for success for the large national installation companies," Mond wrote. "If public companies are able to adapt to changing consumer trends, such as increased demand for loan products, then success in emerging state markets could counteract the deceleration of growth in mature markets like California, allowing these companies to maintain their hold on the national market."